The idea behind whistleblowing is the promotion of good governance and encouraging members from both the private and public sectors to come forward with corruption related activities such as abuse of authority, violation of ethical standards, and danger to public health or safety, among others. The Whistleblower Protection Act 2010 protects those who make a disclosure of improper conduct to an enforcement agency by protecting their confidential information and protecting them against detrimental action being taken against them. Proper internal policies, procedures and training, protect employers’ time, reputation and money against whistleblowing claims. Advise clients on all aspects of whistleblowing, drafting policies and advising on procedures and dispute resolution. Advise clients on internal disclosure policies, confidential information, and remedies connected therewith. Advise clients on how to manage cases strategically in order to minimise financial exposure and reputational risks to our clients and ensuring both short and long term objectives are met. Draft and review employment agreements and clients’ internal practice. Advise clients in defending claims and bringing claims of whistleblowing. 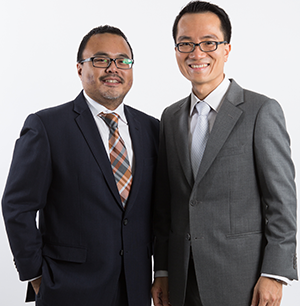 Advise clients on compliance with whistleblower protection law in Malaysia. Provide clients with updates on the developments of whistleblower protection law in Malaysia. Public policy work such as lobbying for change of laws and procedures with the relevant government agencies. Our Consultant is one of the Members of the Institutional Reforms Committee which submitted recommendations to the Government of Malaysia on key Institutions such as the Malaysian Anti-Corruption Commission, a key enforcement agency dealing with whistleblowers and issues in relation to whistleblowing.